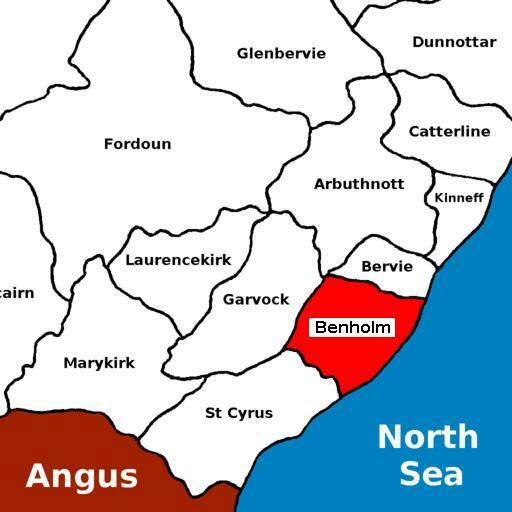 For the full range of maps of Benholm, see National Library's Maps. See Geograph.org: Johnshaven - recent photographs of Johnshaven. National Grid ref. NO7967. Located at National Grid ref. NO805693. Built early 19th C. No longer in use, but open to visitors. A gift of Hercules Scott of Brotherton in 1851. Destroyed by fire on 18 Mar 2011. 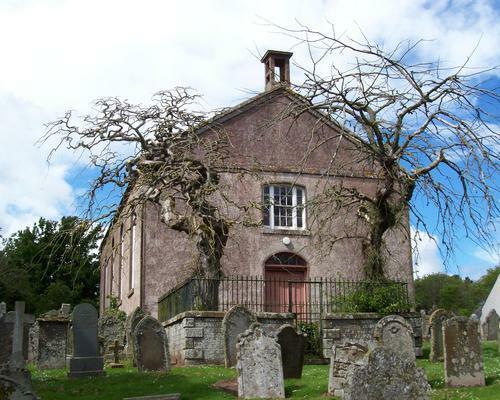 See St John's Chapel of Ease, Johnshaven and also Johnshaven "Chaplie" destroyed and a photo taken in 2009. The chapel is now [Aug 2013] being re-roofed. There is a plan of the kirkyard, dated 1892, in the kirk. 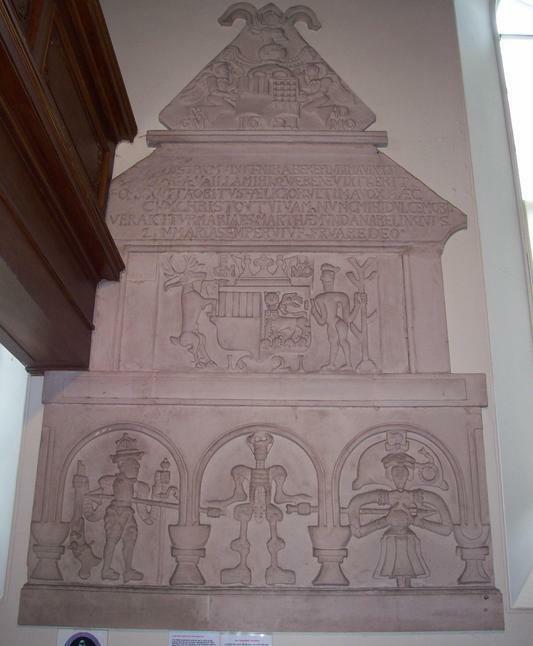 Above: part of the monument to Dame Mary Keith in Benholm Kirk. She died on 14 Oct 1620, in her 5th year, the daughter of George Keith, 4th (NOT 5th) earl Marischal, lord Keith & Altrie (who died in 1623) and his second wife, Dame Margaret Ogilvy. A further part of the monument is in the kirkyard. See Davidson for a full description of both parts of the monument. Photo of the war memorial at Johnshaven. 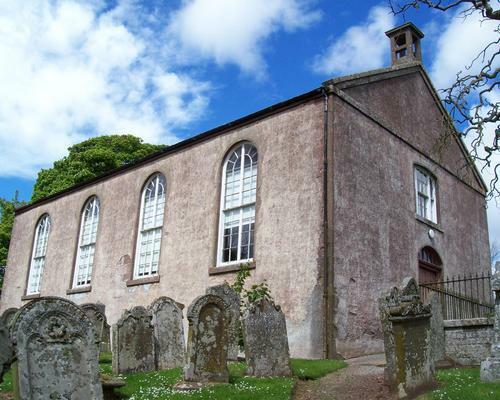 See Scottish War Memorials Project: Benholm (Johnshaven) for more photographs and details. Burial records for Benholm and for Johnshaven are held by the Registrar in Stonehaven. See Kincardine and Mearns Burial Grounds. Johnshaven United Free; Johnshaven Ch. of S.
Benholm was in the Commissariot of St Andrews.